Ms. Amelia Mims, 72, of Selma, Alabama passed away on Thursday, March 16, 2018, at Vaughn Regional Medical Center. Services will be held on Sunday, March 25, 2018, at West Village Church of the Nazarene with Pastor Brenda Tyus, officiating. Interment will immediately follow at New Live Oak Cemetery. 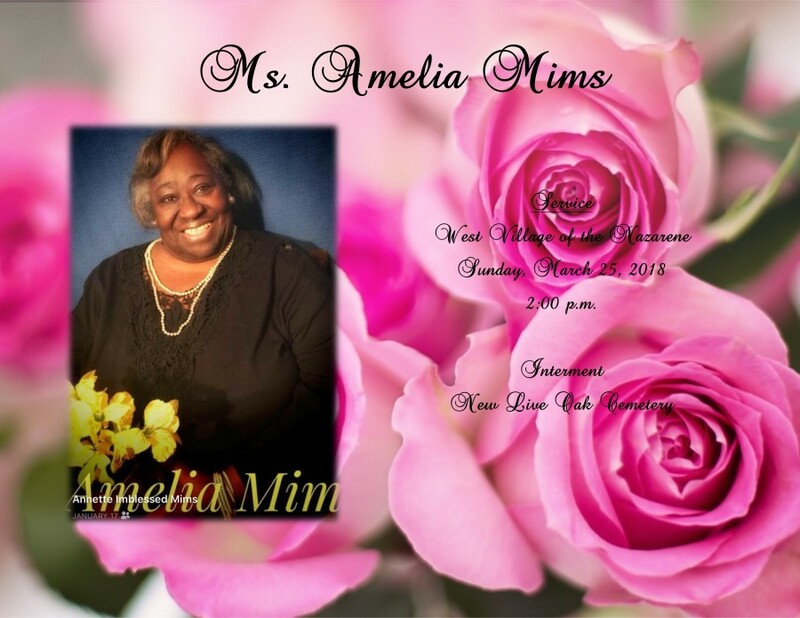 Ashley's JH Williams and Sons Funeral Home professional and courteous staff humbly thanks the Mims family for selecting our firm to prepare Ms. Amelia Mims final rites of passage.